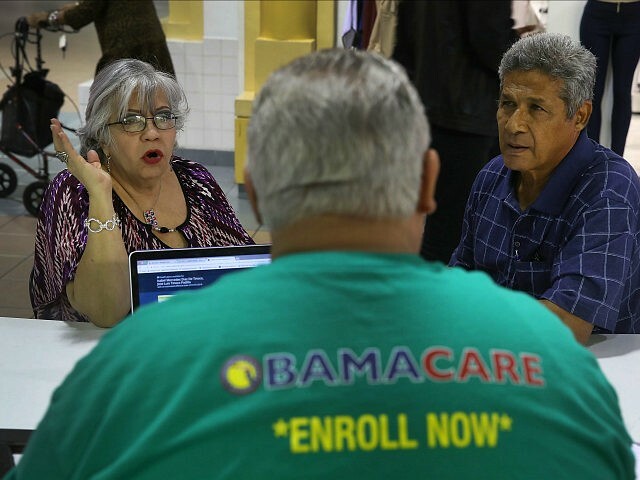 While Barack Obama was illegally funneling billions of dollars to big corporations in the form of health insurance companies, his indefensible Obamacare mandate still stands as a brutal tax that almost exclusively bleeds the working and middle class. One of Obama’s biggest broken promises was his pledge to never raise taxes on the middle class. To no one’s surprise, the mainstream media have spent nearly a decade using lies to cover up the truth of Obamacare’s middle class tax increase. [Jeb] Bush is correct that the Affordable Care Act raises taxes. But pinpointing the middle class as the recipient of “a massive tax increase” is misleading. It’s the upper-class that is feeling the brunt of the impact. And healthcare subsidies, in some cases, may be offsetting tax increases. A note: the term “middle class” is hard to define, but for the purposes of this article, we are roughly looking at a generous threshold that comprises households making up to $250,000 a year. Everything above is a lie. The truth is that those earning less than $250,000 make up more than 95 percent of those hit with this immoral tax. There is some hope that relief is on the way. In the Republican tax reform bill currently making its tortured way through Congress, the idea of killing the Obamacare mandate is gaining steam and just passed in the House. The Senate will be a tougher sell. The GOP only has a two-seat margin of error in the upper chamber and so-called Republicans like John McCain, Lisa Murkowski, and Susan Collins only dislike Obamacare when they need to be re-elected. Nevertheless, there is only upside in repealing the mandate. The mandate is immoral. The federal government should not be imposing a Birth Tax, should not be demanding its citizens purchase products from corrupt mega-corporations simply because they were born in America. As explained above, repealing the mandate is an automatic tax cut for the working and middle class. Repealing the mandate would free 13 million Americans from the chains of being forced to purchasd an over-priced Cadillac health insurance plan that they neither need nor want. Leftists and their media minions spin this 13 million number as OMG 13 MILLION MORE UNINSURED!! but that is just spin. Those are 13 million people who are FREE not to buy over-priced insurance, LIBERATED to do what they want with their own money. Repealing the mandate actually LOWERS the deficit. That sounds counterintuitive, but the truth is that the mandate adds $338 billion to the deficit over ten years (which is how Congress looks at budgeting). Government *is* the problem when it comes to health care and health insurance. Government *is* the reason everything is so unforgivably expensive and complicated. If you look at the health care that is not covered by most health insurance plans — eyeglasses, dental care, plastic surgery, Lasik — prices have decreased over time, in some cases, quite dramatically. That is because those forms of care have to compete in a free market. On the other hand, everything covered by health insurance is exploding in price, and, by extension, so are the premium prices paid to cover those services. This is all a result of government intrusion and insurance removing free market pressures to do a better job at a cheaper price. The way to solve the health insurance problem is to bring back the catastrophic plans Obamacare outlawed, where you pay out of pocket for everything until you hit a $5,000 or $10,000 deductible. This way, no one goes bankrupt, but the healthcare industry is again required to better itself in a free market. Obviously, exceptions will need to be made for those who are not physically or mentally able to support themselves, and generous exceptions should always be made in those cases. All I know is this: Since the age of 19, I have paid for my own health care. I have been poor, I have worked two jobs, but I have always paid for my own health care. Government forcing me to buy a health insurance policy I do not need, forcing me to pay for the health care of the able-bodied who refuse to do what I did and work two jobs, and doing all of this at the expense of my personal freedom, is un-American. I want my healthcare freedom back, and that starts with my God-given right to be uninsured if I so choose.